It was a beautiful fall afternoon at the Riverdale Ethical Cultural Society and members and their families gathered to work in the garden planting. 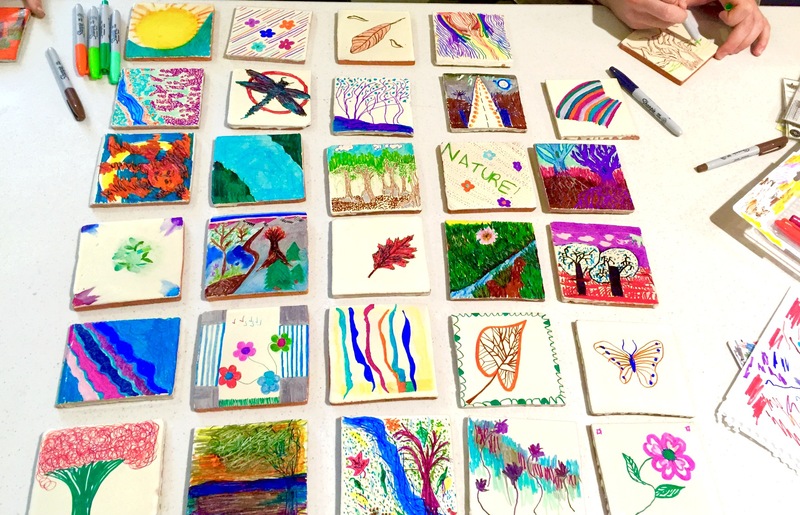 I had the task of facilitating art depicting nature on ceramic tiles. 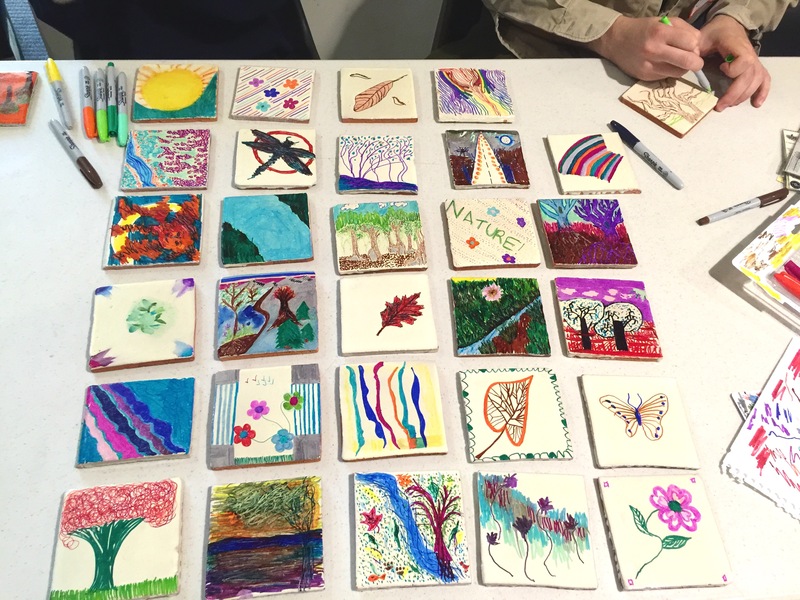 It started with everyone grunting that they can’t do art to the fabulous creative tiles you see above. They ended up doing more than one tile. They are truly works of art! !